Welcome to AB Driving School, your route to getting your driving licence! 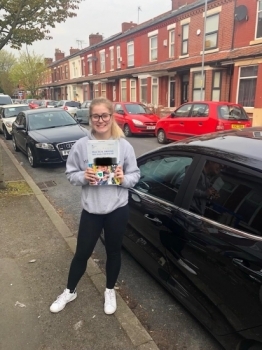 Passing your driving test and getting your full driving licence can seem a way off but by taking your lessons with a quality instructor can make that happen sooner than you may think. Learning to drive needs to be enjoyable while delivering your coaching in a way that suits your learning style and pushes you to exceed your expectations. As an instructor who genuinely enjoys teaching, you will find my enthusiasm infectious and you will quickly discover your confidence growing with each lesson. My professionalism, along with reliability, punctuality and patience will accelerate the learning process for you ensuring you get great value for money. I am committed to delivering high quality, premium lessons using modern methods and a client centred approach. All lessons are adapted to suit the individual pupil and structured with a recap of what has been covered previously at the beginning, followed by a briefing of what will be covered and then plenty of practice followed by a debrief at the end. For your convenience, lessons times and pick up/drop off locations are kept as flexible as possible and I may be able to cover areas not listed on request so please call to check if I may be able to supply tuition in your area.